Lenexy Cardoza posing with her mother and sister, Camila, before the car crash took place. 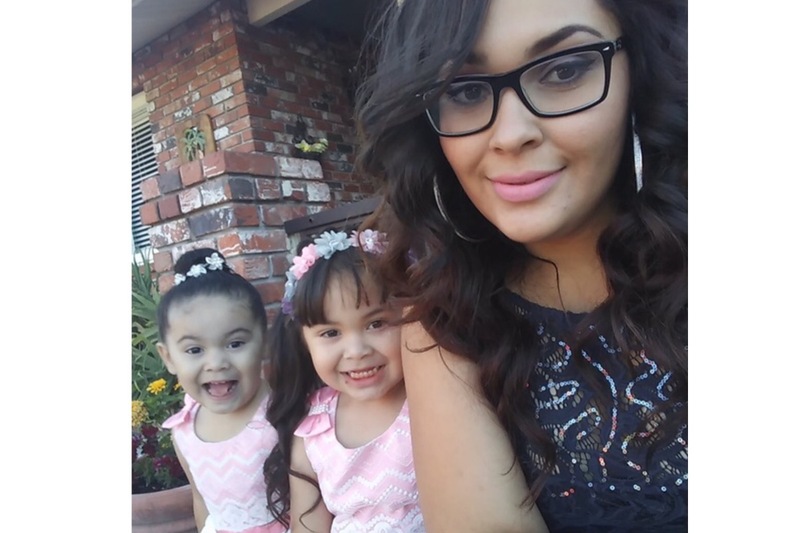 After running a red light at Somerville Road in Antioch, a stolen vehicle crashed into a Ford F-150 pickup truck, killing four year-old girl Lenexy Cardoza. Lenexy, her mom and 2 year-old sister Camila and Noe Saucedo were in the hospital on Wednesday, January 17. The mother, Edith Cardoza, made it through surgery with major injuries, stitches in her head, a plate in her arm and broken ribs. The man responsible was identified as 23 year-old Noe Saucedo from Pittsburgh. On Wednesday night, he sped down Exit Highway 4. When he realized a cop was following him, so he continued driving and hit Cardoza’s car. Saucedo was then arrested on account of two murders and is currently being held on a $2.13 million bail at the Martinez Detention Facility. The family has set up a GoFundMe page to pay for funeral expenses for Lenexy. The money is pouring in, most of it from people donating $20 or $30 to help the family out. Meanwhile, 2 year-old Camila is still not able to breathe on her own. There is now a memorial set up where the crash happened in Antioch with pink flowers and a teddy bear to remember and honor the young girl. Anyone with any information on this incident is asked to contact the Office of the Sheriff at (925) 646-2441. For any tips, please email: tips@so.cccounty.us or call 866-846-3592 to leave an anonymous voice message.